No matter where you go in the world, music will always have an impact on the people who live there – including you! Whether you use music to celebrate, to concentrate, to escape, or to simply chill out, there are countless genres of music for you to listen to. From Jazz to pop, to gospel, to country, to classical and more, the musical opportunities really are endless. Yet, there is one genre of music that is reigning supreme in many different countries. Of course, we’re talking about rap music! Often called hip-hop, rap music is a relatively new category within the world of music, and has only really been readily available for listeners since the 1970s. Despite its young age, rap music and rap musicians as a whole have made sure that their lyrics and bars are heard all around the world – and they do a pretty epic job of doing so. In fact, for the first time in 2017, rap music overtook rock music to become the most popular genre in the United States of America, which is kind of a big deal… and then some. 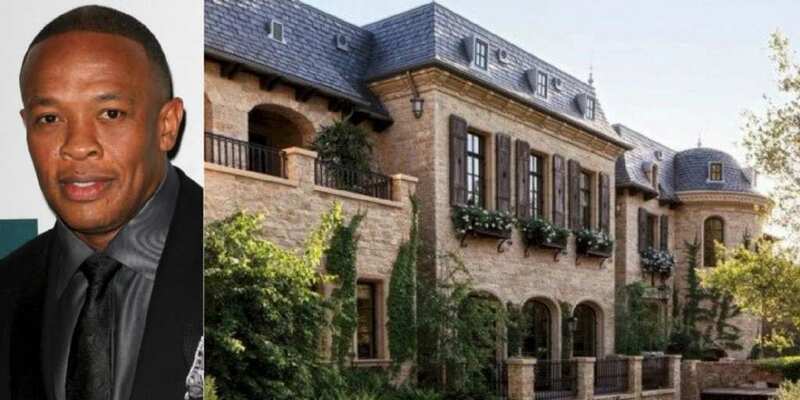 Because of this, these famous rappers have high-class cribs that will leave you drooling. When rap music debuted its rhythmic rhyming speech during the 1970s, it did not immediately make its way onto the radioways. Instead, young African-Americans would showcase their skills during inner-city block parties around New York City. It was until 1979 that hip-hop became a popular genre with people all around the country and across the world – and by the mid-to-late 1980s, we were blessed with the Golden Age of Hip-Hop, where names such as the Beastie Boys, Ice Cube, N.W.A, Slick Rick and more used their epic beats and lyrical genius to entertain fans around the globe. Despite its growing popularity, rappers then and now still stay humble and remember their small beginnings. Much of their inspiration comes from childhood struggle, poverty, gang violence, and minority culture – something which thousands of people can relate to. Although he may now be one of the most popular rappers in the business, Drake lived his life a little differently when he was younger – considering he got his start on the Canadian teen drama, Degrassi! Nevertheless, Drake made it his mission to write lyrics and make music, and he’s since become a worldwide name. Thanks to his hard work and talent, Drake has been able to shell out a whopping $7.7 million to live in his “YOLO Estate” in Hidden Hills, California. While it may look prim and proper from the outside, the lagoons and water slides are ready and waiting for the party of the year. We all know that Drake started from the bottom and now he’s here – and we kinda like what “here” looks like! Like the outside of Drake’s crib, the inside of his mansion also looks incredibly traditional. On the left, Drake has designed the perfect little reading nook for all of his rapper friends to peruse. However, if he’s not up for reading the next installment in the Harry Potter franchise, he might invite his pals over to watch the movie instead in his own personal movie theater. Well, it’s not what we expected, but we’re still pretty darn jealous. Unlike Drake, Lil Wayne has chosen a slightly different style for his crib – and we’re kinda digging it. 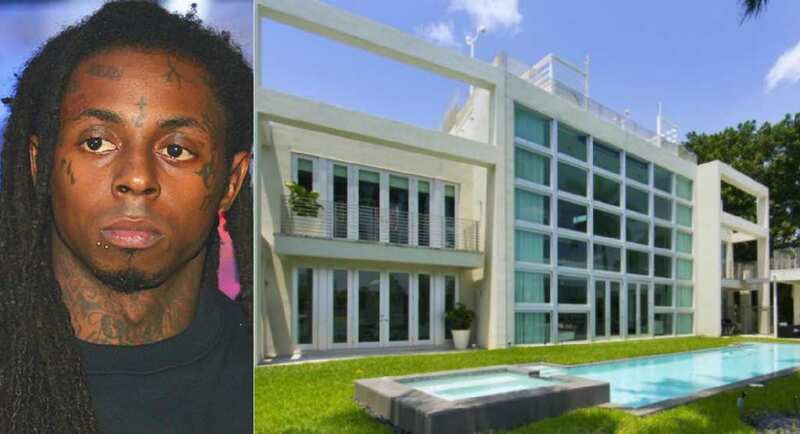 From the outside, you can tell that Lil Wayne loves the modern feel of his mansion that sits on the edge of La Gorce Island in Miami, and for $14 million, you’d like to hope that he does love it! With an incredible nine bathrooms and nine bedrooms, Lil Wayne’s crib is perfectly set up for housing guests or the next big Floridian party. As if it wasn’t cool enough already, this crib also has a skateboard ramp on the roof. 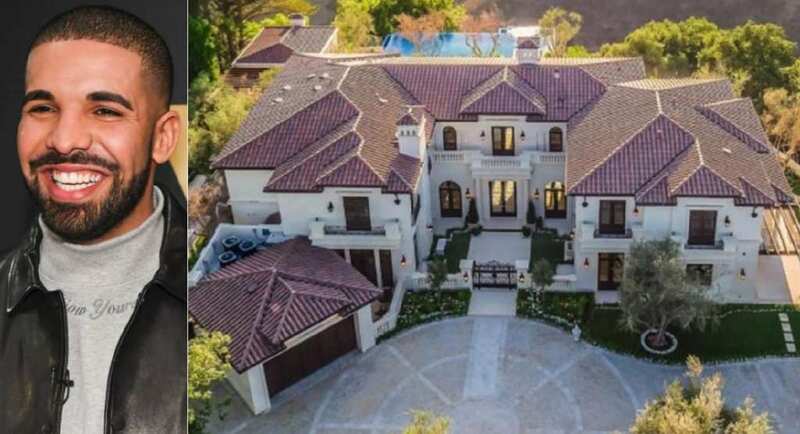 Despite the fact that he’s no longer a part of the Kardashian/Jenner family, Tyga doesn’t seem to be crying into his pillow – because this house is enough to cheer anyone up. Located in the Hills of Los Angeles, this crib has one of the best views of the Sunset Strip and features one of the most unique architectural designs of any of the cribs on this list. From the jagged edges to the many balconies, to the palm trees adorning the front door, we’re sold! Now, where are our millions at? 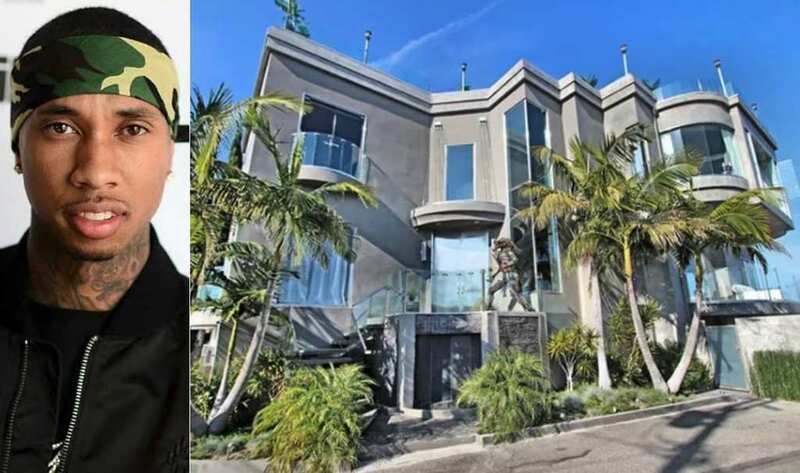 Sadly, Tyga does not actually own the house himself, but rents it for an incredible $17,000 a month! While we would love to have that amount of money to spend each month, it seems as though Tyga doesn’t mind shelling out for this crib, considering it is epic both inside and out. Fully furnished with huge rugs, plush couches, cushions, and a neutral color scheme, we can only imagine Tyga takes a running jump at these couches every time he walks in – because they’re just too good not to! Dr. Dre is one of the few modern rappers who has lived throughout the entirety of rap music – nearly! Yes, he made his debut in the ‘80s with the popular group, NWA, before making his own solo music and dominating the world of hip-hop. 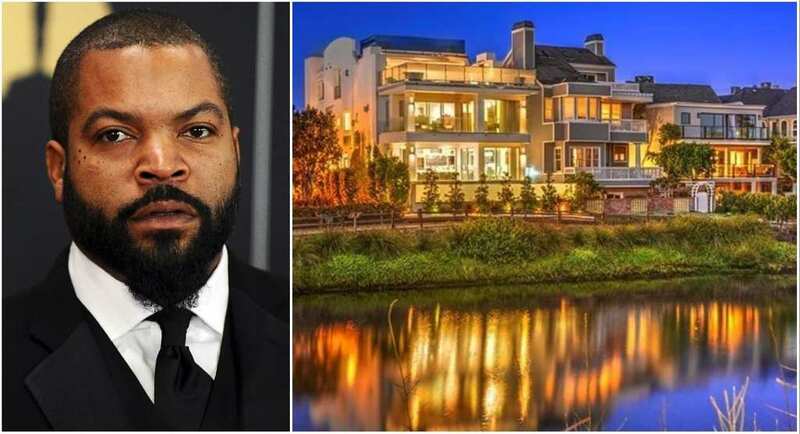 Because of this, Dr. Dre has racked up an impressive net worth, which means that it was easy to snap this Brentwood mansion off the hugely popular supermodel, Gisele Bundchen, and the famous quarterback, Tom Brady for a cool $50 million. Amazingly, this didn’t even touch the sides of his bank account. You’ll be right in thinking that Dr. Dre’s crib is one of a kind – because it is. In fact, the whole outside and inside of the house was designed by Gisele and Tom Brady, and they chose everything from the furniture, to the light fittings and more. Dre was obviously impressed with the work that they put in the house, as he has yet to change a thing. 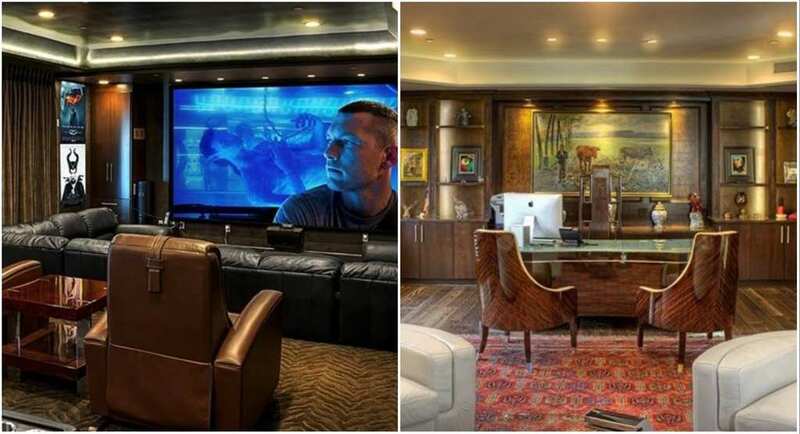 From the cool games room to the homely dinner table, Dr. Dre has definitely put his Beats By Dre money to good use, because this house is insane. 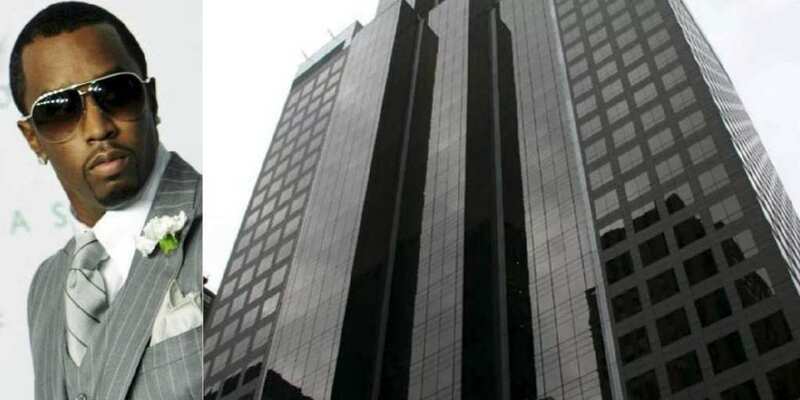 Indeed, P. Diddy’s former crib stood on the 66th floor of the Park Imperial apartment building. While we would do anything to have a glass piano and a plush dining table in our apartments, it’s fair to say that the selling point of this apartment is the impressive views of New York City below you. From the skyscrapers to Central Park, to the river beyond, we bet P. Diddy scored a bunch of musical inspiration from these views alone. He should have asked for a better offer from the buyer because these views are priceless! We’re lost even looking at the outside of this crib because 50 Cent’s mansion is huge! Yet, Mike Tyson used to own this house – so it kinda makes sense. Located in Connecticut, 50 Cent’s 50,000 square-foot mansion is located on the edge of a lake and surrounded by trees and greenery. What more could you want? In the past, the rapper has noted that he doesn’t get the chance to enjoy the house as much as he would like to, but his family apparently love it. We don’t blame them. 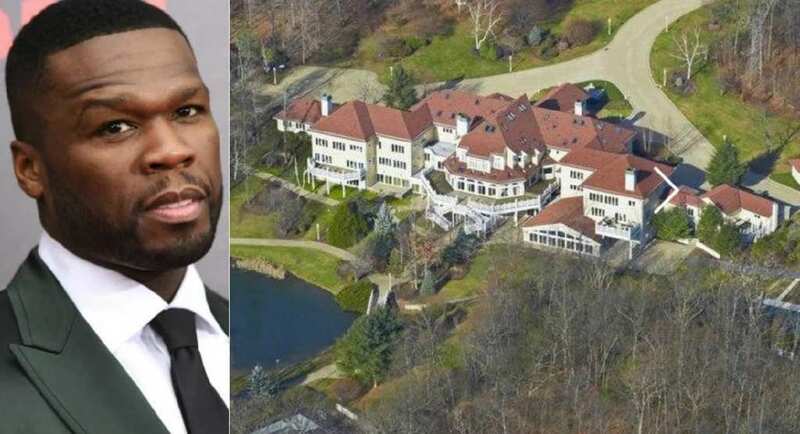 The best part about 50 Cent’s Connecticut mansion is that he could invite 52 of his friends and family around for dinner, and they could all eat in their own room of the house! Although the mansion has 52 rooms to its name, the interior of the house is fairly humble. With dark wood everywhere, 50 Cent has made sure that the dining room and the kitchen are up to scratch, and added just a few quirks that make it extra special. One of these quirks is a luxurious private movie theater, complete with dark wood and a gold trim. It’s fit for a rap King. Amazingly, this palace-style mansion in Palm Island, Miami is the home of the world-famous rapper, Birdman – and we can imagine that he would take a night in over a night out any day. Like many of the other rappers on this list, Birdman bought this house from another famous face. 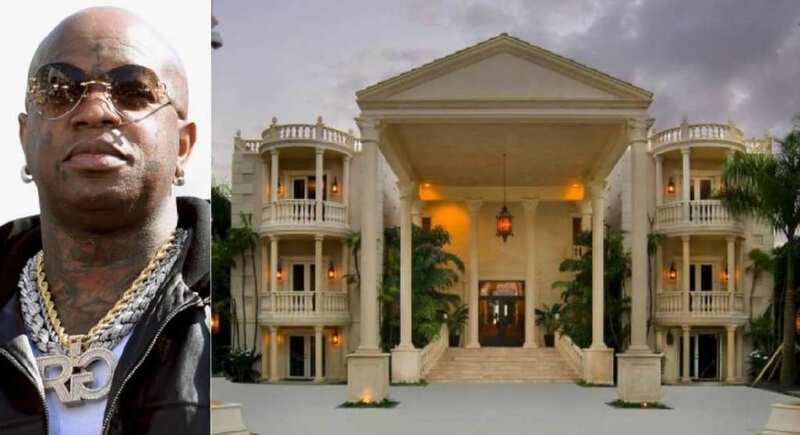 This time, Birdman bought the house from a popular music producer by the name of Scott Storch. Complete with dramatic columns, balconies and intimidating front steps, this mansion also comes with its own elevator! It’s fair to say Birdman is on the up. Hands up whose jaw is on the floor right now? Well, we don’t blame you, because Pharrell’s Miami penthouse is unlike anything else we’ve ever seen. From the futuristic architecture to the open rooms and wide glass partitions, to the plush furnishings and additions to this penthouse, we can imagine he’s pretty darn happy about the fact that he can simply open his window and smell the sea air. Although we hate to think of his window cleaning bills, if he can afford this epic penthouse, he can probably afford the bills. Pharrell bought this epic crib in 2007 for a whopping $12.5 million, and we hope it has high enough ceilings to fit his iconic hats! Complete with five bedrooms and six bathrooms, a high-tech kitchen, a swimming pool, a home movie theater, and breathtaking views of the beach and the Miami skyline, we bet that Pharrell feels pretty darn “Happy” about the fact that he owns this pad. After all, you know you’ve made it when you get to say that you live in a penthouse. Today, Ice Cube may be better known as an actor in family-friendly movies such as Are We There Yet? and Are We Done Yet? and raunchy comedies like the Barbershop and Friday franchises, but his beginnings were very different. Cube, and his rap group NWA, pretty much invented West Coast gangster rap on the harsh streets of Compton, California – despite him being the only member of the group not from there. Today, with a net worth of $160 million, he’s living lavish somewhere quite different in the Golden State – Marina del Rey! To show his splendorous life, Cube bought his Marina del Rey home in 2016 from another icon – Jean-Claude Van Damme – paying $7.25 million. The opulent mansion boasts 6 bedrooms and 11 bathrooms and stretches 7,575 square feet. Other than the usual fare of dining and family rooms, Cube’s crib has a home theater, an office, and – you’d have never guessed – its own wine cellar. We just hope he keeps that chardonnay chilled with something other than… ice cubes. It’s no secret that Jay-Z and Beyonce are the power couple of the music world, and considering they are both two of the greats – it should come as no surprise to know that these two have a taste for the finer things in life. In reality, this couple have various houses to their name, but it doesn’t seem to be enough. During the summer months or during their vacation periods, Jay-Z and Beyonce use their hefty joint worth to rent out various houses, including this epic Hamptons house. If someone wanted to buy this Hamptons house outright, they would have to have a whopping $43.5 million ready to go in their bank account! However, Beyonce and Jay-Z only rented this summer house for a couple of months, which still set them back around $400,000 a month. Of course, the whole inside of the house is decked out in impressive furnishings and high-quality products, but it’s the perks of this home that make it worth the time. With a bowling alley, a basketball court, a virtual golf course, a skateboard half-pipe and a spa to its name, it’s definitely worth the $400,000 a month. Kinda. Trailing on the heels of Jay-Z and Beyonce as the celebrity power couple of the decade is Kanye West and Kim Kardashian. Amazingly, Kanye’s career can be traced back to the ‘90s but he became a household name around the world in 2004 when he pursued his solo rap career. 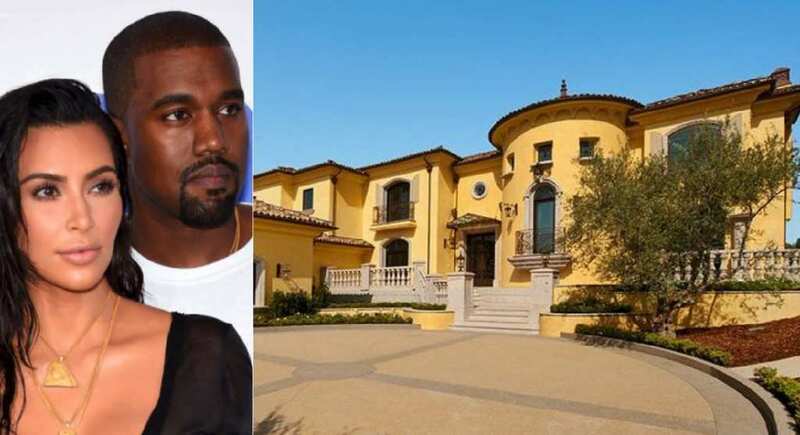 Since then, Yeezus has combined his impressive net worth with his wife, Kim Kardashian, and the pair have ensured that they have the best houses on the market – including this yellow Bel-Air mansion that has got us all jealous. Does it make anyone else think of summer? From the outside, you can tell that Kim and Kanye’s mansion would not be cheap, but how does $11 million sound? We might have to save up for a bit. If you watch Keeping Up With The Kardashians, you’ll know that Kim is meticulous when it comes to interior design and her home – so it should come as no surprise to know that their home has been impeccably finished with marble kitchen worktops, expensive rugs, and high-class furnishings that bring the whole house together.